Commissioned by Ramblers Countrywide Holidays to take a group of walkers/photographers on a three day outing to Northumberland. 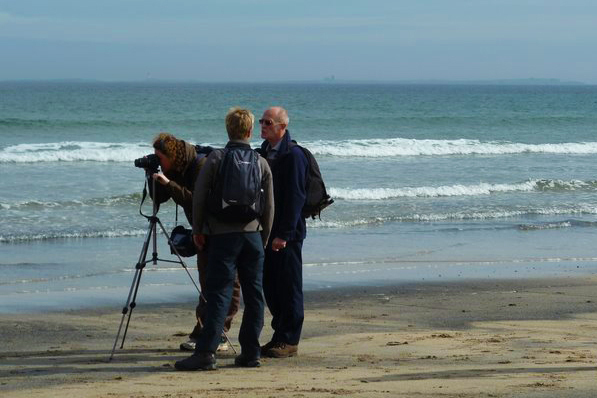 Ramblers first ever “Walking with your Camera” holiday in Northumberland was an instant success with the group of enthusiastic photographers. 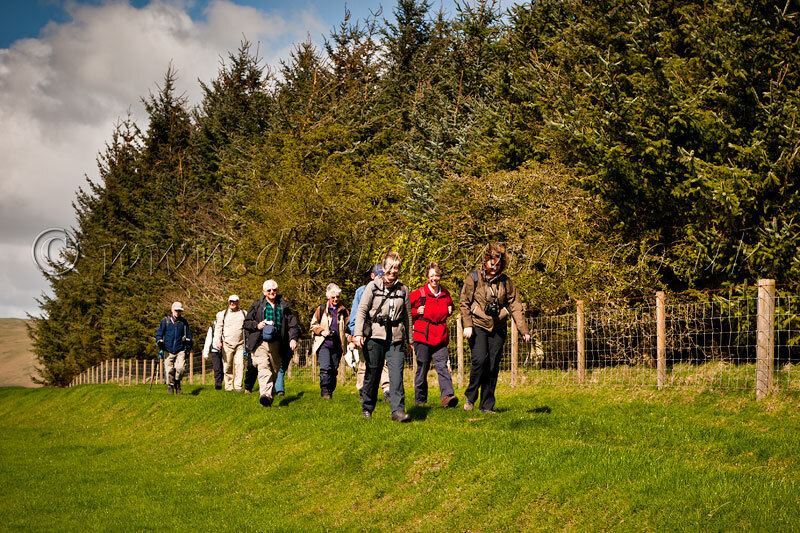 A mixture of sites of interest twinned with the magnificent landscapes of the Cheviot Hills, plus a comfortable hotel on the edge of the Northumberland National Park gave clients a rewarding and photographic experience. The first evening and following morning was spent sorting out the settings of the many makes and sizes of cameras, everything from large DSLR’s with multiple lenses to small compacts which slip in your pocket. The suggestion to members of the group that they might like to try taking RAW images and come away from fully automatic settings which normally produce Jpegs didn’t go down very well at first. Taking people out of their “comfort zone” is never easy and whilst several members readily accepted the change over a few others were unconvinced at first. The solution was to set each camera to take one RAW image and also one Jpeg which would allow them to experiment later after some instruction from myself. This way they still had a jpeg should they wish to use it…nothing lost and only possible gain! Our first morning was spent in the Northumberland National Park visiting Harbottle Village and the Drake Stone in the scenic valley of Coquetdale. The morning was dry and bright with reasonably good lighting but with a slightly chilly wind. The first photographic stop was halfway to the Drake Stone in order to take some images of the small Village of Harbottle and the surrounding countryside. Considerable time was spent giving one-to-one instruction to those who had chosen to work with new exposure settings; combined with information about general composition and the use of strong foreground features within an image, for every member of the group. The introduction of the “Sunny 16 Rule” got everyone thinking and talking about the light and their aperture settings, shutter speeds and ISO setting. It even brought others out from their comfort zone and a few more cameras were changed over to semi-manual settings. Then onwards and upwards to the Drake Stone and Harbottle Lake. At the Stone we had a quick elevenses break and further images were taken of the surrounding countryside. At the lake it was more questions and answers about slow shutter speeds and how to blur the water surface. We left the Lake as the clouds were rolling-in and with most of the group repeating the “Sunny 16 Rule” and adjusting their apertures to suit the new lighting conditions. After completing the circular walk back to Harbottle Village, we enjoyed many stops for photographs along the way. We then had a spot of lunch as we waited for the coach to arrive and transport us back to the Hotel. Most of the conversation was about the new settings and how better their images looked. Small groups of two’s and three’s were reviewing and showing-off the images which they were happy with. For the afternoon tutorial session the group was split; half to go for a short walk with Alan Paul the group leader and the other half were left to have instruction on processing both Jpeg and RAW images and the differences between them. The group enjoyed the afternoon tutorial and found that by using RAW files it was possible to produce much better quality images. Wednesday morning. Up early and transported to Holy Island to capture Lindisfarne Castle at sunrise. The light was wonderful as we neared the Island but the clouds were rolling-in fast. A few of the group who were quick to set up tripods and cameras did manage to capture the last of the light before the sky went flat. The only person who I feel a little sorry for was the amateur photographer who was already on the island when we arrived. 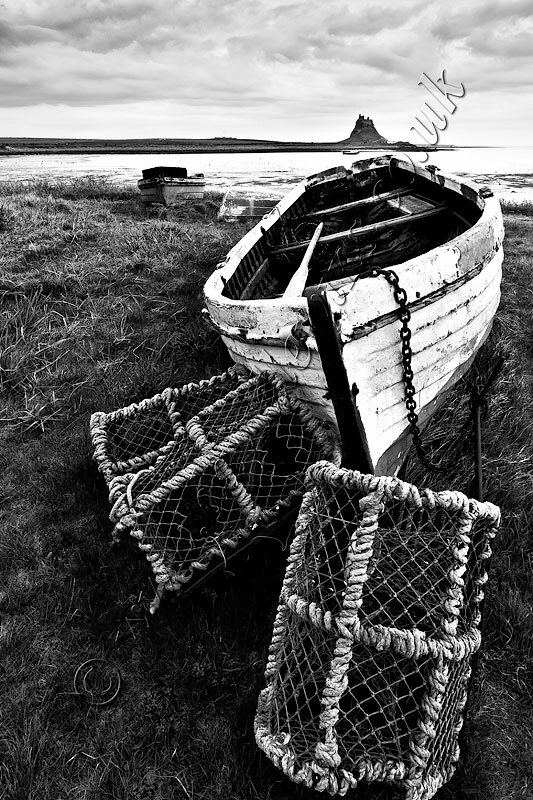 Holy Island and Lindisfarne Castle is normally a very quiet place where one can more or less expect to be alone in the peace and quiet of the morning. That poor man must have wondered what on earth was happening when 14 photographers descended from nowhere and all began seeking out space to place their tripods and bags. My sincere apologies for disturbing your early morning solitude and I hope you were successful with your images. Back to the Hotel for a spot of well-earned and needed breakfast. After which, I gave my processing tutorial to the second group whilst the others went off with Alan for a walk around Humbleton Hill. Once again the group enjoyed the tutorial and found that many more things were possible when processing RAW images. After lunch we all headed off to the picturesque Harthope Valley to capture views of The Cheviot and the surrounding countryside. Some members of the group were happy to stay in the valley whilst others wanted to climb up to the lower crags of Hedgehope Hill. 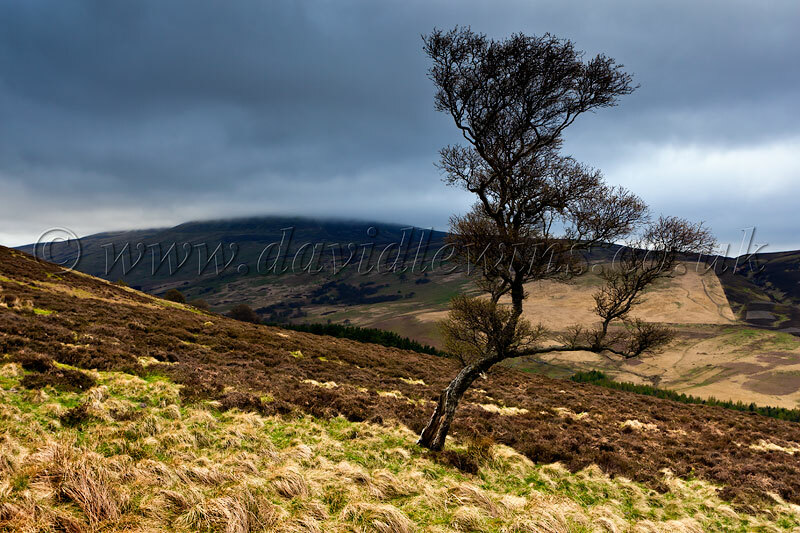 Alan and I split the group once again in order to suit everyone’s needs and whilst he took a party along the valley I took a small group up to the crags for some moody, atmospheric images of The Cheviot, the largest hill within the Northumbrian National Park. That evening we were supposed to go out before dinner to capture the sunset, but due to the heavy overcast sky I proposed that I do another tutorial on image processing. This time I took one RAW image from everyone in the group and gave a small critique whilst processing the image and talking them through what I was doing. This was very successful and they were all asking questions about processing and processing packages. In fact, it was so successful that one of the party who had previously said that he wasn’t interested in processing his images has now been somewhat converted! 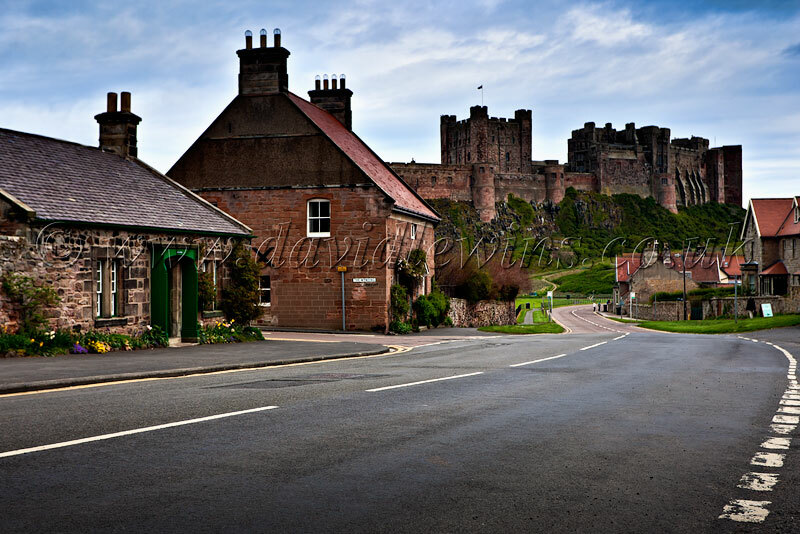 The following day we went off to Bamburgh Castle for the morning. Taking images of the castle from the sand dunes and other things of interest on the beach, including a few candid images of each other. That afternoon we were transported to the causeway of Holy Island and we walked the 3.5 miles onto the island. The weather had changed and whilst the sky had some definition, it certainly was not the most inviting of skies for photography. After a discussion about their apertures and shutter speeds the group followed as I lead them around the island to some of the more interesting aspects. After dinner, we had our final briefing and some feedback from the group. All had enjoyed the trip and had found it beneficial to their photographic skills and knowledge. It was certainly a good time had by all, easy bite-sized chunks of learning with lots of laughter and enjoyment on the photographic walks. I have already had several Thank You messages sent to me and I thank each and everyone for your kind remarks. Very interesting read David and I really enjoyed it. Thanks very much Jim, peased that you enjoyed it. Just back home after doing some footwork for another Walking With Your Camera holiday but this time in the English Lake District. All images, contained within David Lewins Phtography are the property of David Lewins and therefore protected by the United Kingdom’s Designs and Patent Act 1988 and international copyright laws. No part of this property may be used without the written permission of David Lewins to include copying, duplicating, publishing (this includes a website), reproducing, storing in a retrieval system or transmitting by any means whatsoever.